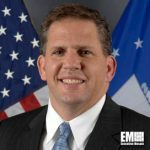 James Geurts, assistant U.S. Navy secretary for research, development and acquisition, has said he aims for the Navy and the U.S. Marine Corps to migrate all data center-hosted applications to the cloud by 2021, Federal News Radio reported Friday. Geurts said the cloud initiative is part of his message to naval procurement officials to adopt a more agile acquisition process through the use of commercial technology platforms, delegation of additional authority to the field and use of alternative procurement processes. “All of that will enable us to get agility and change the trajectory, because on the existing timelines, with the existing cost, with the existing time to get things in the field, we are not going to deliver on the challenges in our national defense strategy,” he said at the WEST conference hosted by the U.S. Naval Institute and AFCEA Thursday. Geurts, former acquisition executive at the U.S. Special Operations Command, officially assumed his current post in December 2017.